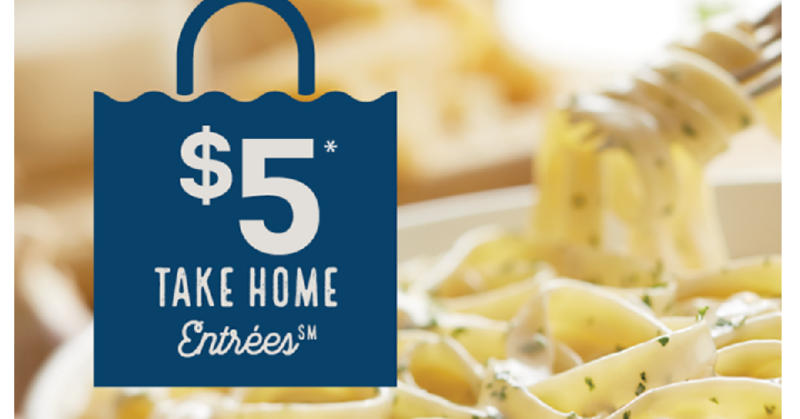 For a limited time, Olive Garden is offering a Classic Dinner Entree to take home for $5 when you purchase any entree while dining at your local restaurant. The second entree will be prepared and then chilled s0 it’s ready to take home. This is a fun way to save on dining and the three dishes include Fettuccine Alfredo, Five Cheese Ziti al Forno, and Spaghetti with Meat Sauce. Yum!